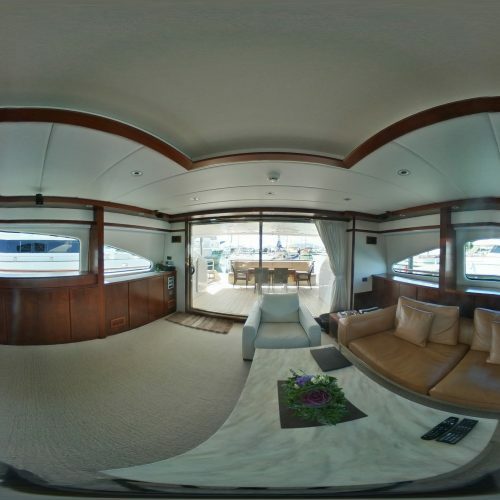 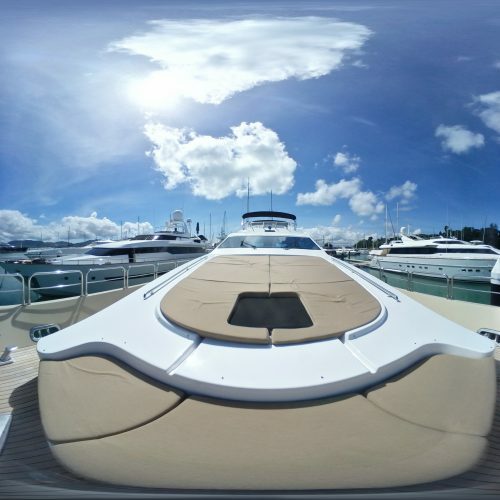 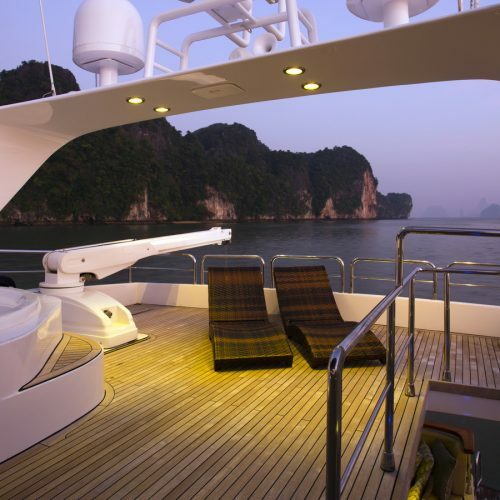 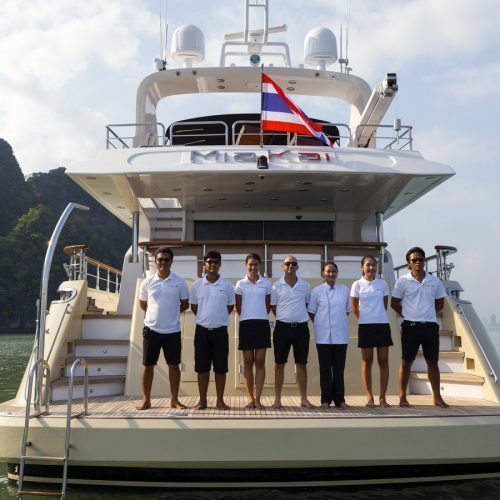 The Bilgin Tiago 100 motor yacht Mia Kai is one of the best luxury charter vessels currently operating in Thailand and is fully equipped with all the features one would expect to find on a super yacht. 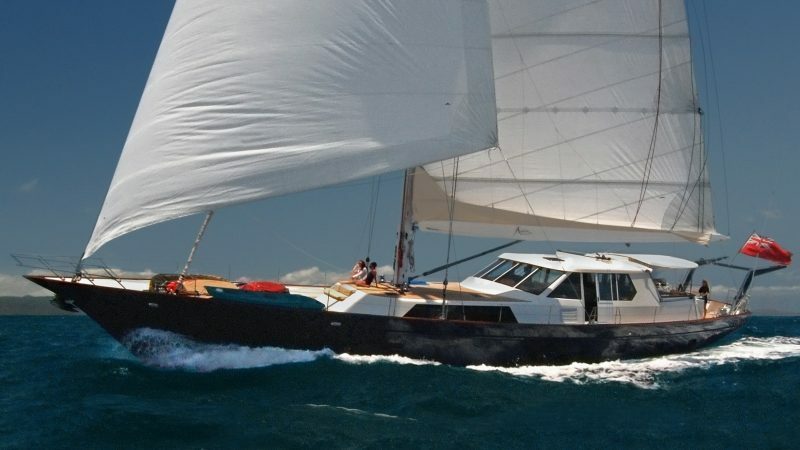 Presented for sale in superb condition the boat was refitted in 2011 and again in 2015 and there is not a better boat in her age class available in Asia today. 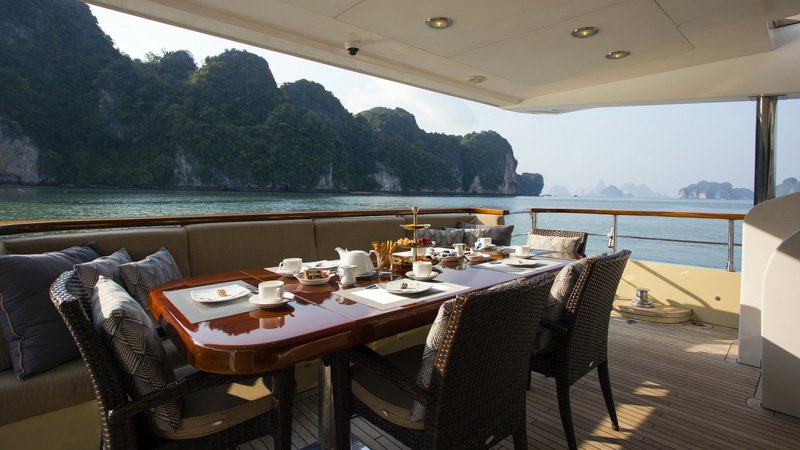 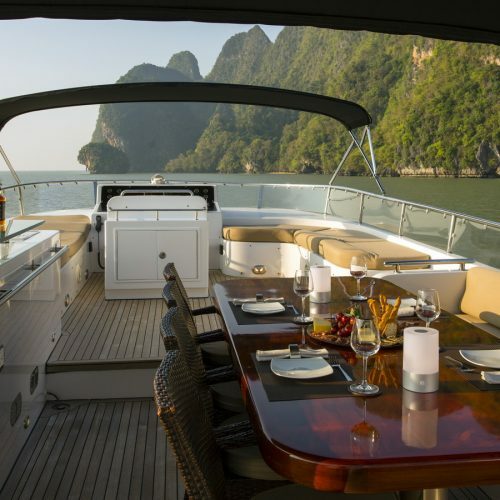 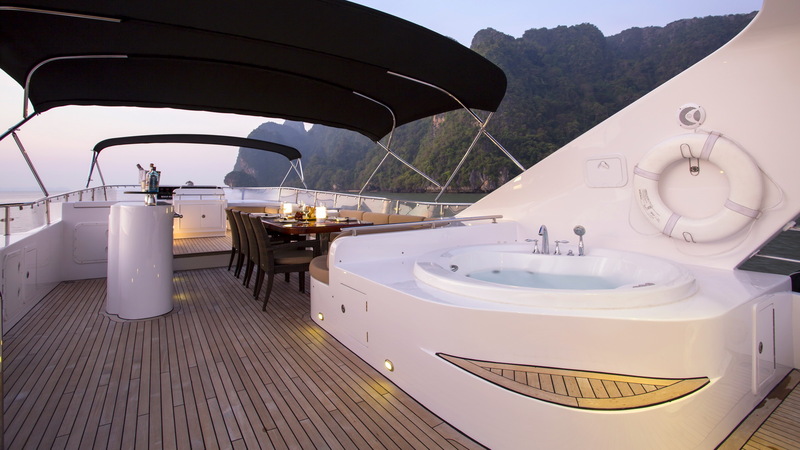 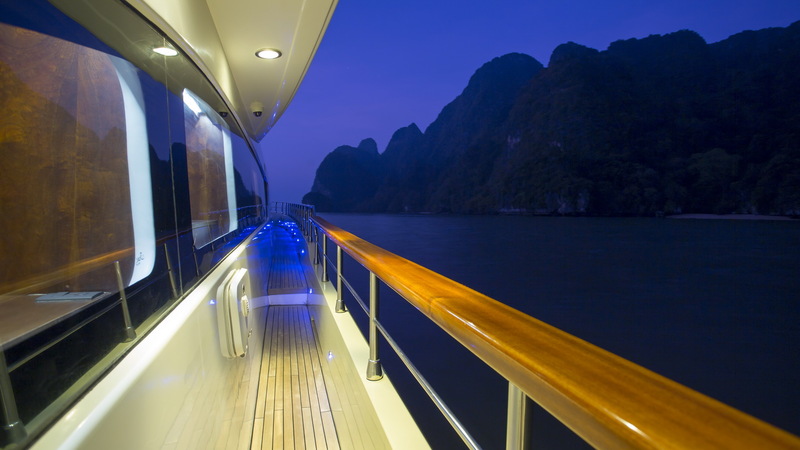 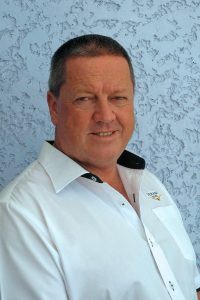 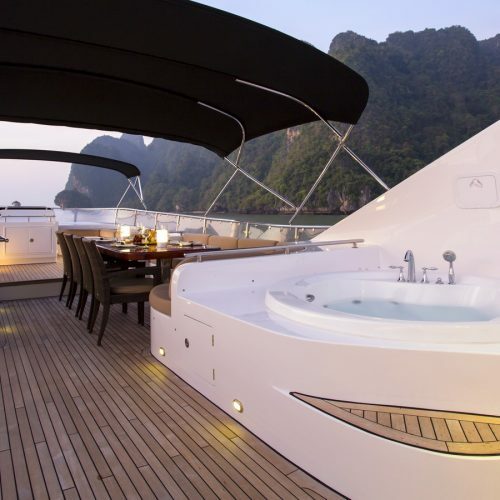 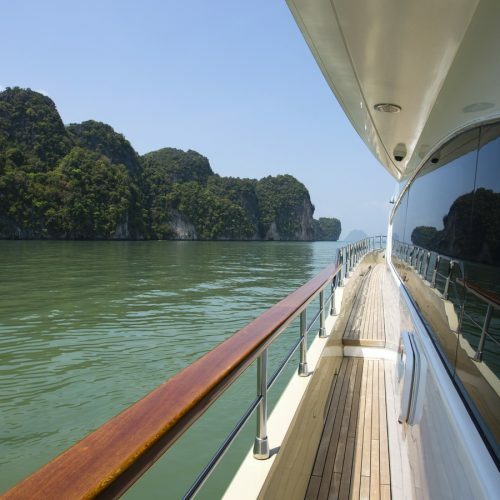 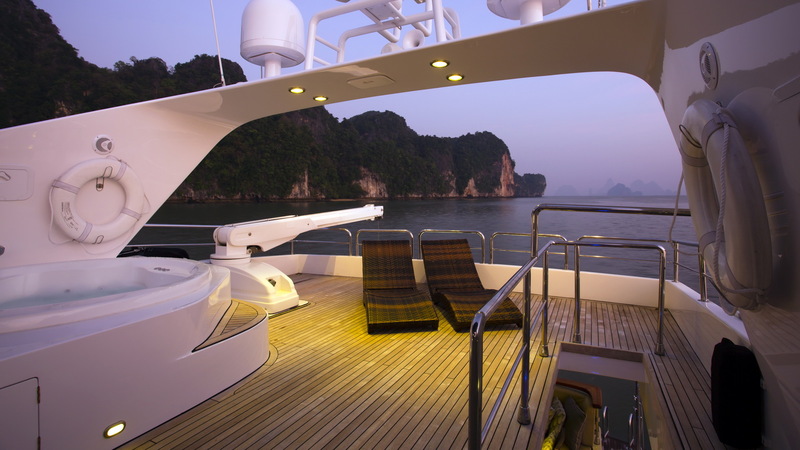 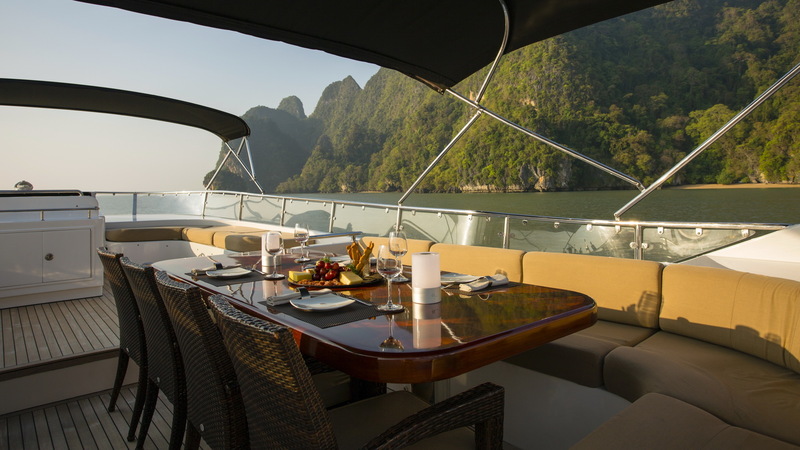 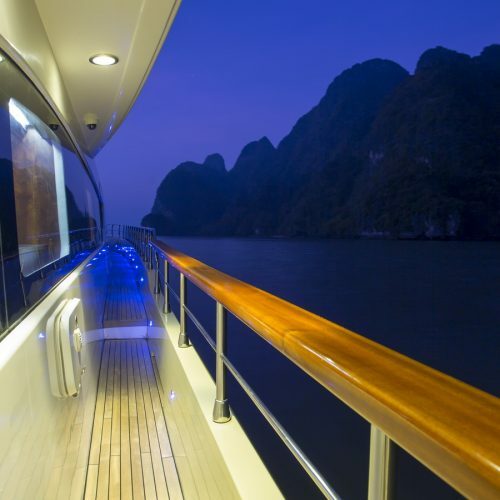 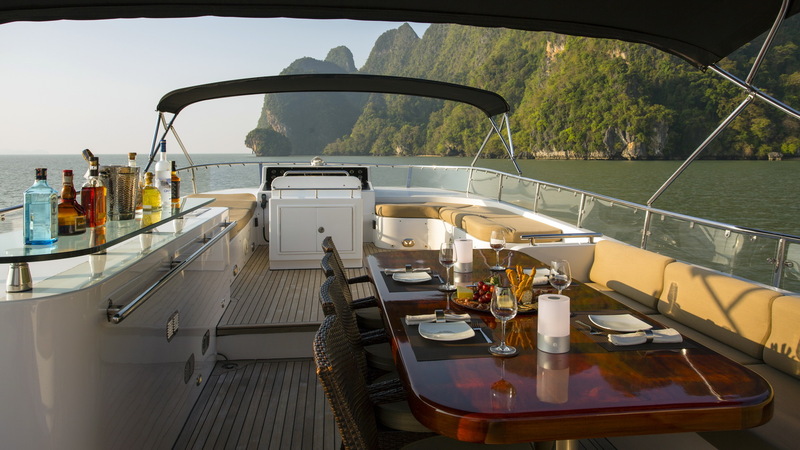 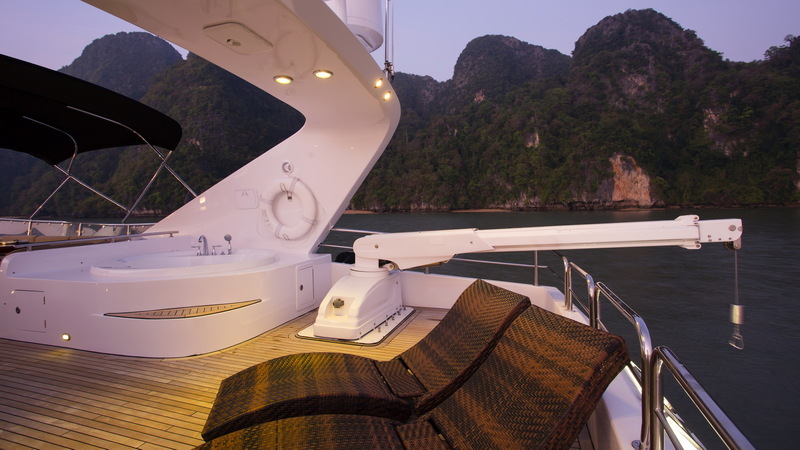 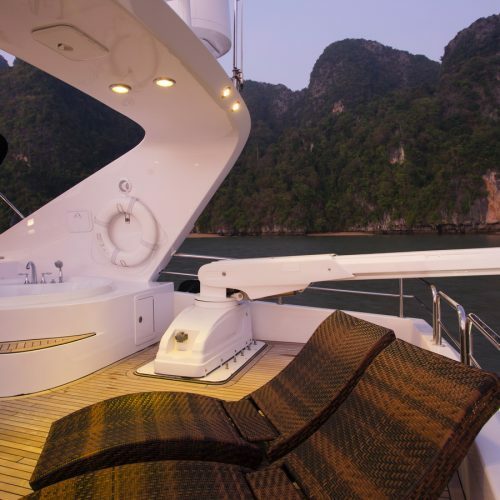 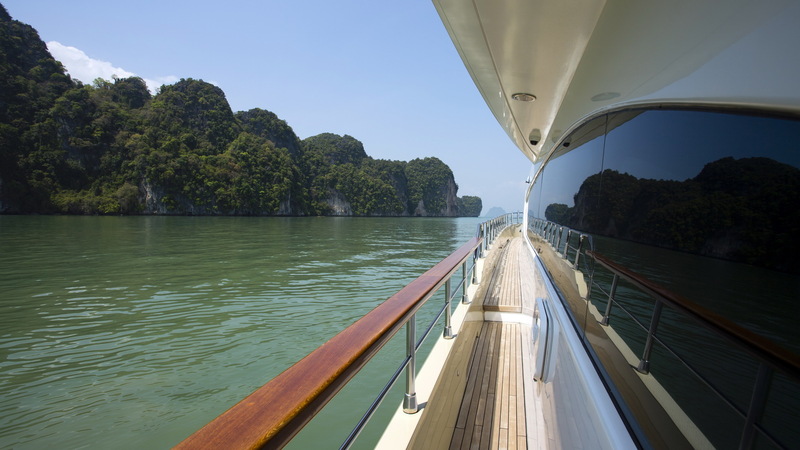 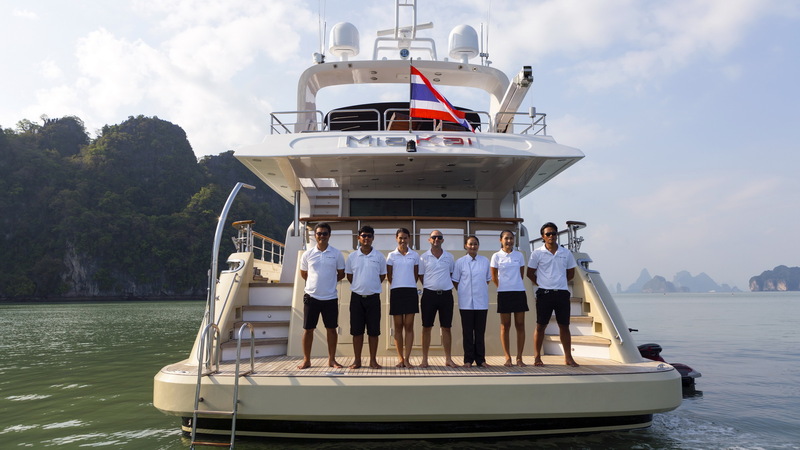 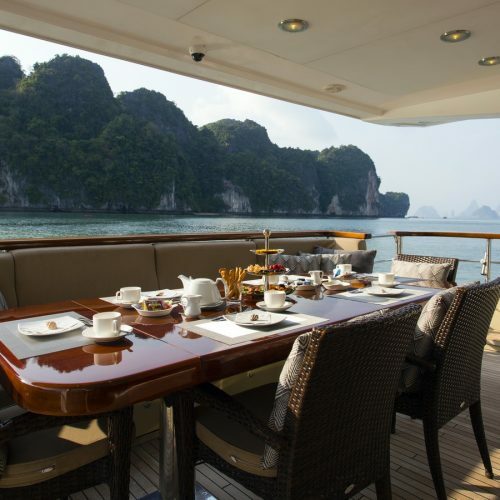 She is currently offering luxury yacht charters around Phuket and the Andaman Sea with a highly professional crew of 7 offering fabulous first class service. 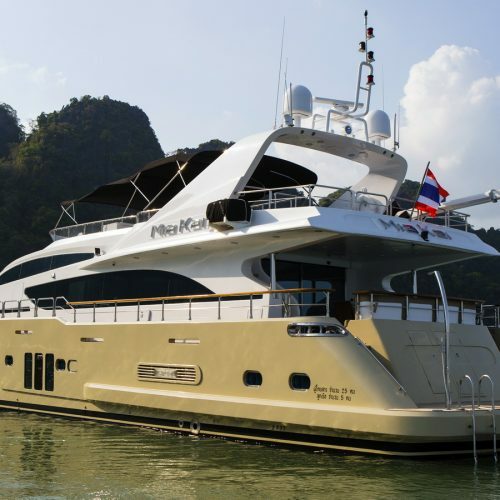 She has accommodation for eight guests in two double and two twin ensuite cabins plus crew accommodation for up to 7. 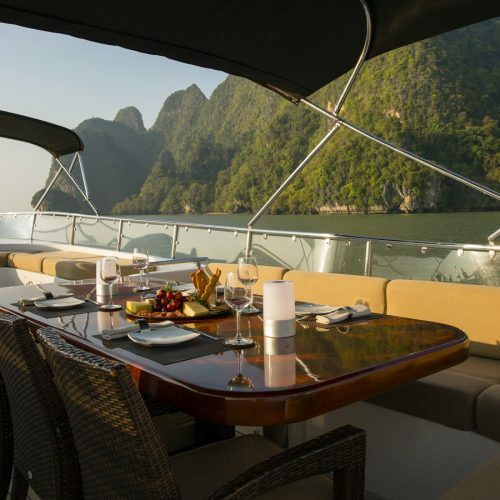 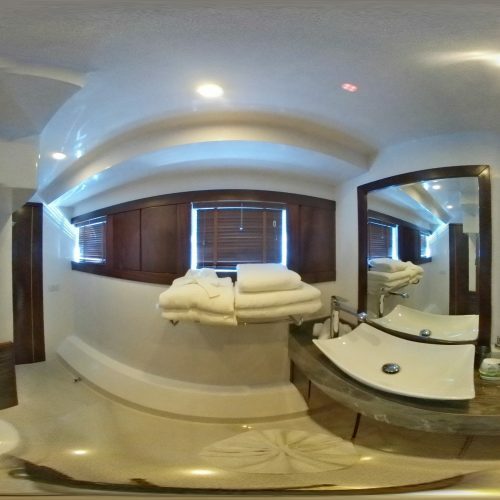 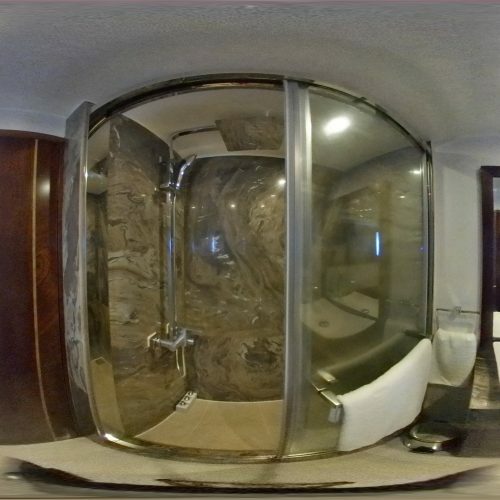 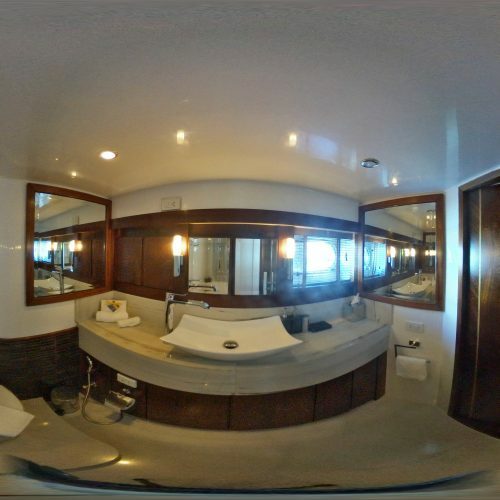 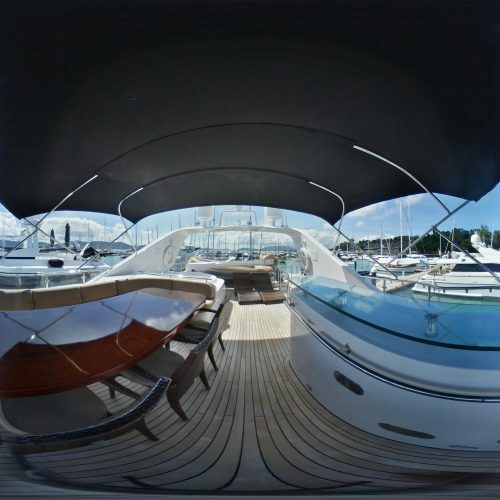 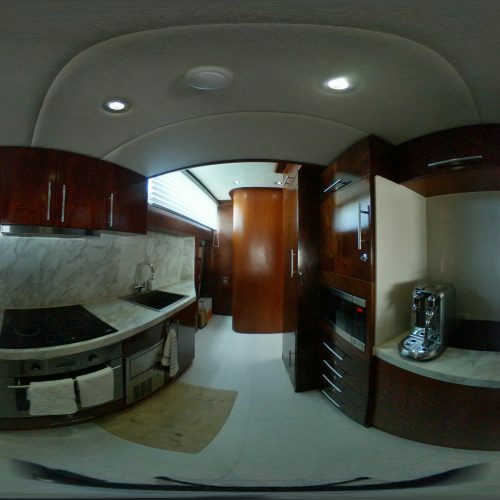 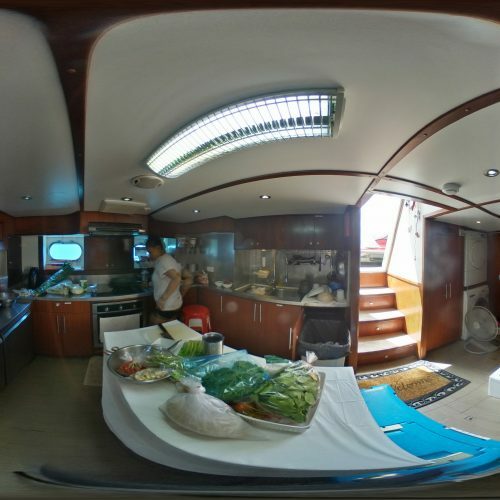 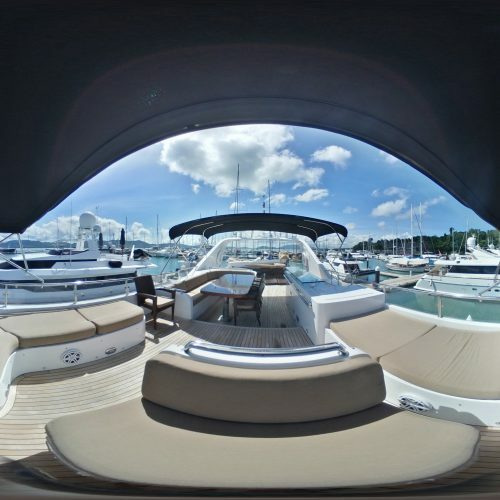 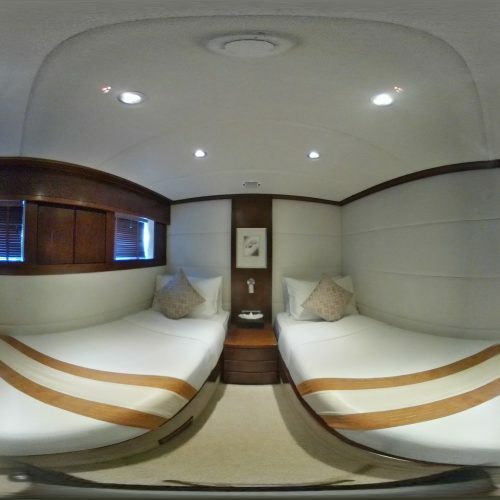 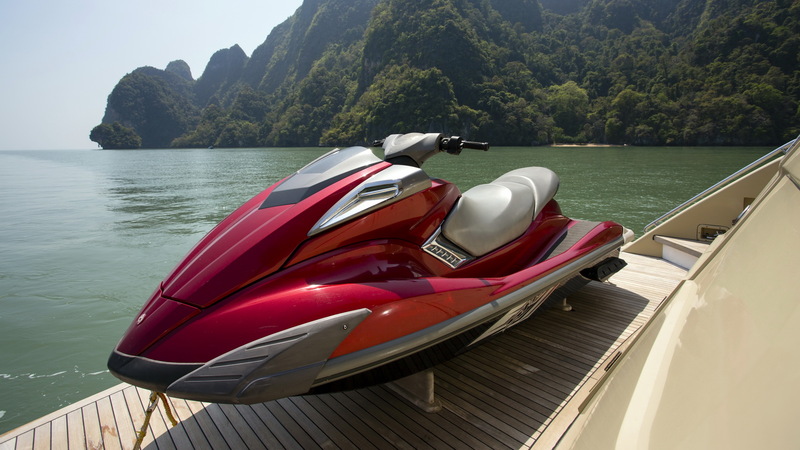 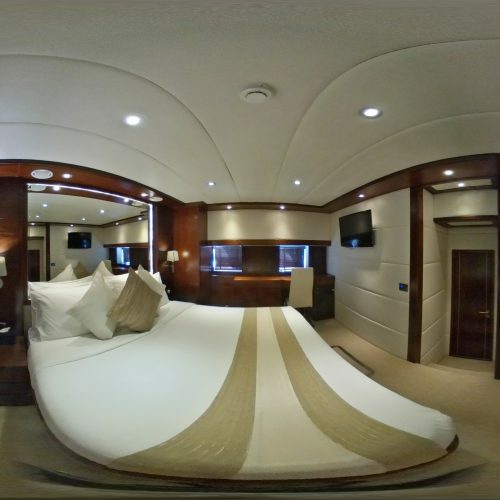 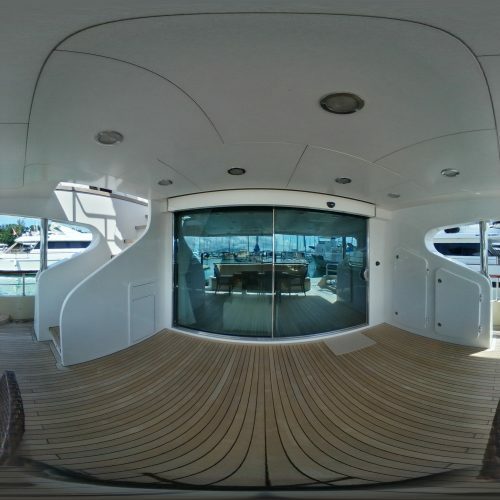 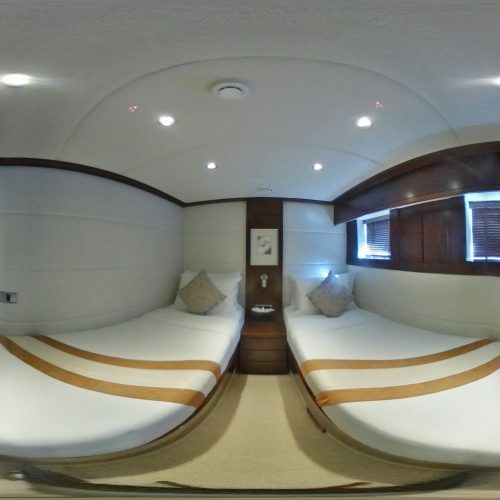 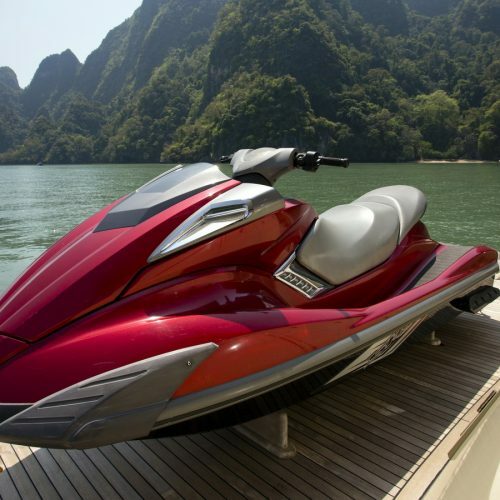 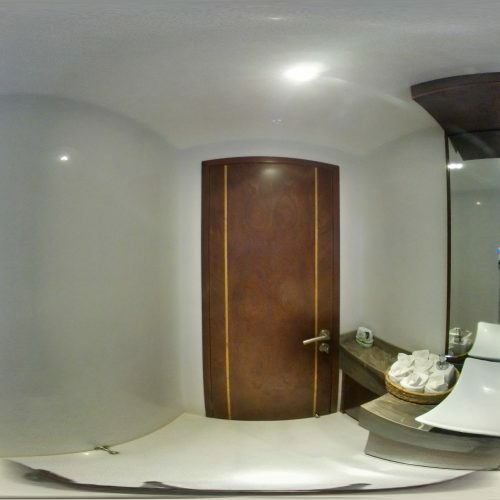 The yacht is fitted with a flybridge Jacuzzi, barbeque, dining area and sunbeds plus many extras and a great range of water toys including 3.8 meter Brig RIB tender with 50hp outboard, Yamaha Jet Ski, water ski, wakeboard, snorkelling and fishing equipment, as well as inflatable water toys. 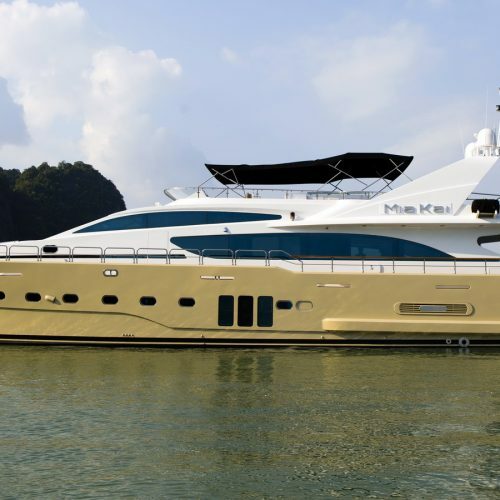 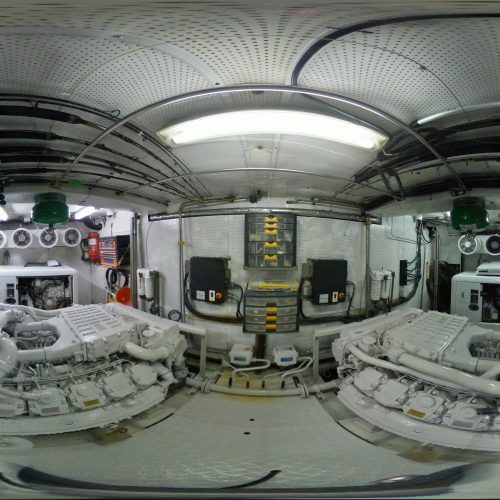 With her twin MAN 1,550 horsepower engines and current propellers she can reach a maximum speed of 16 knots and cruise comfortably at 12 knots. 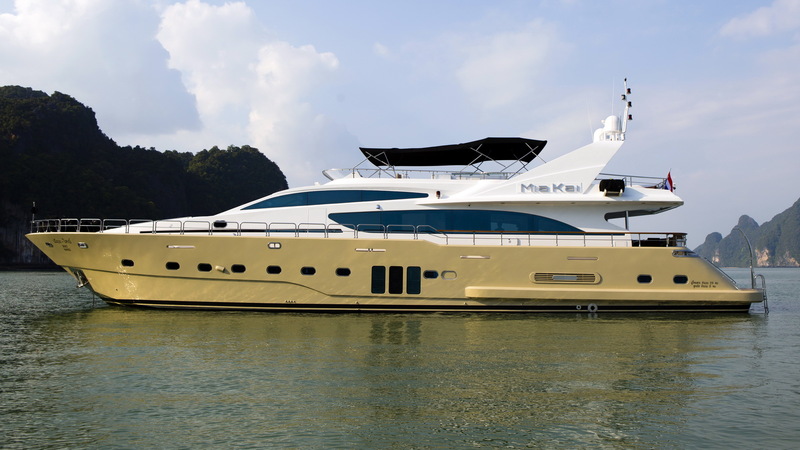 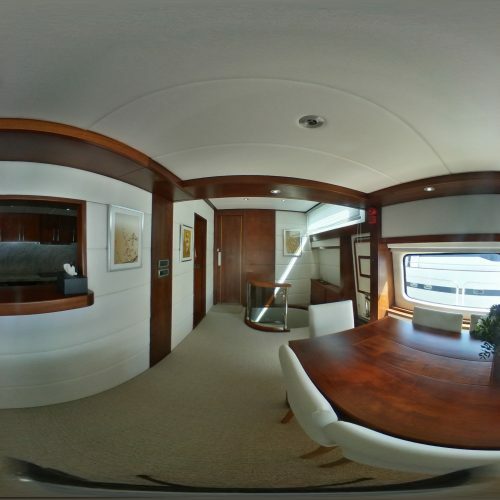 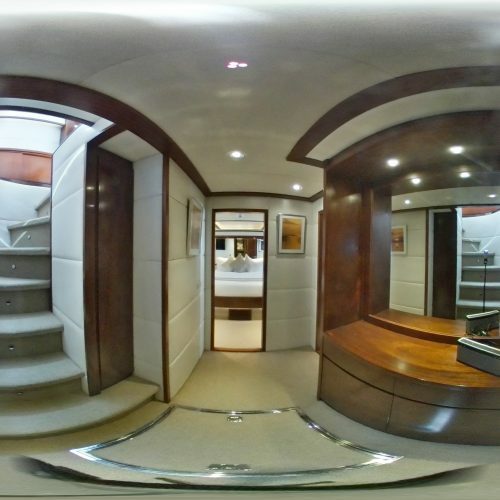 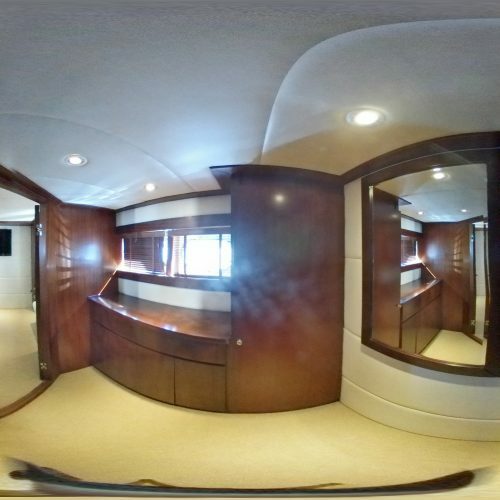 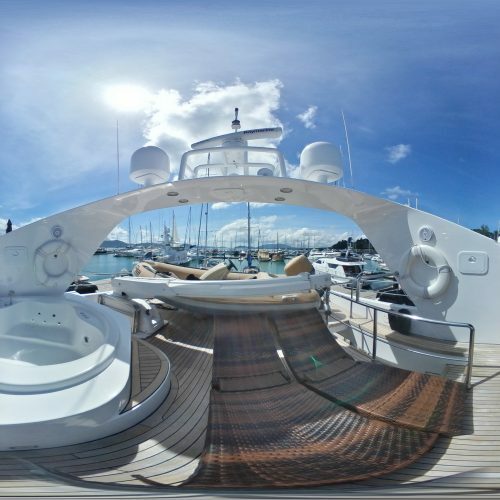 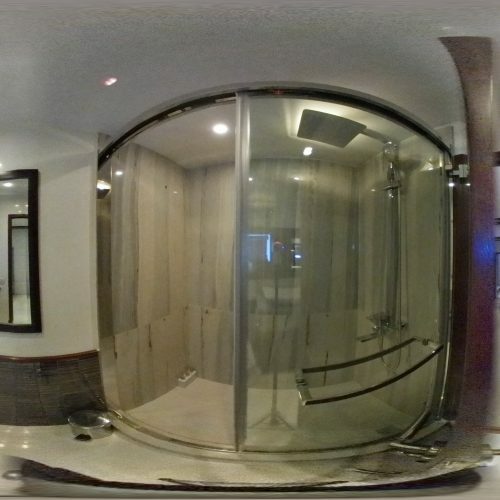 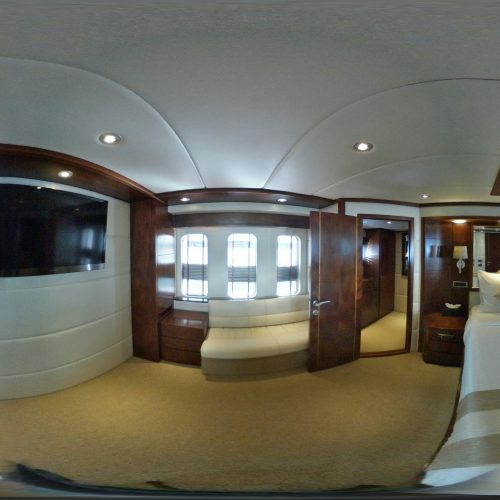 Mia Kai is a true super yacht at an extremely attractive price. 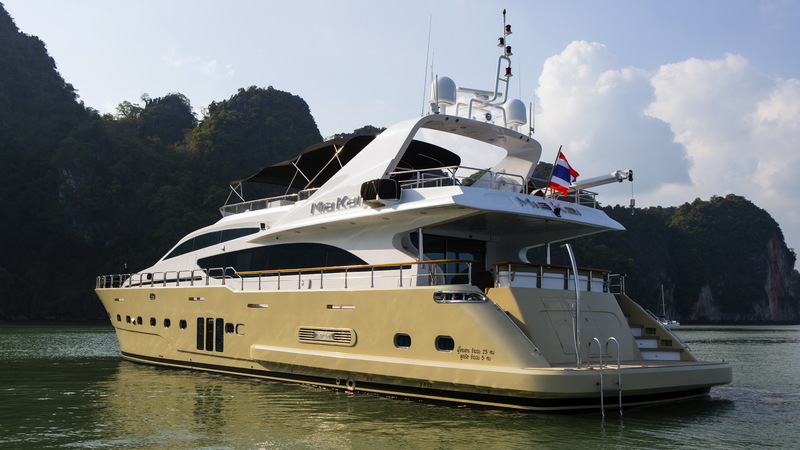 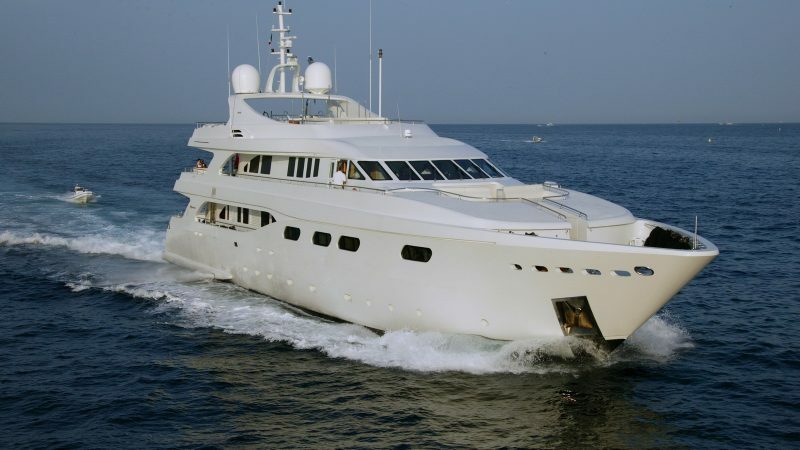 She is Thai registered and would make an ideal private luxury motor yacht or she could continue to operate as a charter yacht with great earning potential.